We are one of the reliable names among the principle Basic Dyes Manufacturers. We export Basic Dyes which are water-soluble cationic dyes. The Basic Dyes are manufactured from quality materials and with the support of the urbane technology. For the secured shipment of the Basic Dyes we used quality packaging material. 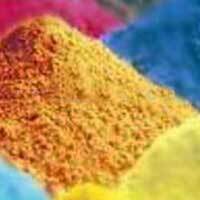 Basic Dyes is delivered in the market at rock bottom price.